A man climbed a crane on an Anaheim, Calif. construction site the night of Sept. 9, and then rappelled down before police took him into custody. 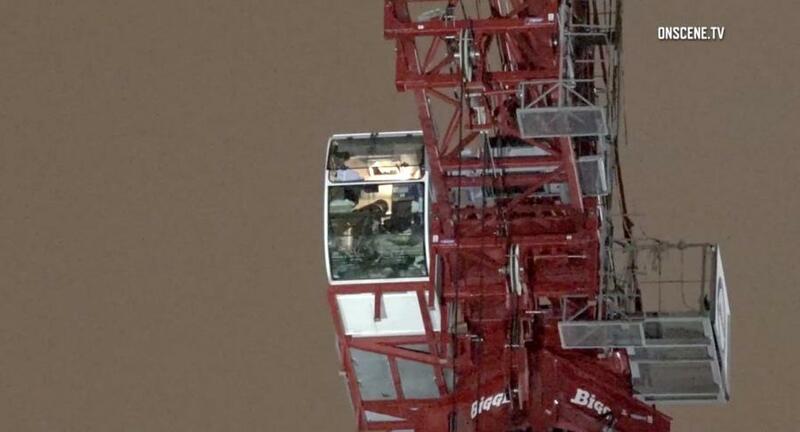 Twenty-five-year-old Edgar Vega, who was wearing only a shirt and underwear, was spotted around 11:30 p.m. inside the crane's cab, playing with the lights and controls, about 300 ft. above the ground, The Mercury News reported. “He had climbed up above the crane and then was in the crane operating car,” said Anaheim Fire & Rescue Battalion Chief Bob McClellan. Firefighters and police were on the scene, persuading him to come down, which he eventually did after an hour and a half. “He exited that car and then swung a rope or cable down the outside of the crane and then (police) were able to apprehend him at the base of the crane,” said McClellan. As police officers attempted to confront the man, he threw PVC glue at them, The Mercury News reported. The police received treatment on the scene to remove the glue. one count of trespassing, The Mercury News reported. According to McClellan, had Vega not come down on his own, the rescue could have proved challenging, as there was no space for firefighters to place a rescue air cushion, which would have likely been ineffective as he was so high off the ground, The Mercury News reported.